Selling services as a DJ requires developing a marketing package and portfolio. In real life this includes having access to a demo and maintaining several copies of a business card on your person at all times. In Second Life offering free event time can act as a demo. Another method is recording 15 minutes of an event and distribute it to club managers and owners interested in your services. Before this step, there are three items every Second Life DJ should have. The first is a note card that includes your bio, name, list of recent gigs, website address and rates. This acts as your business card, you can distribute it to potential clubs and managers without needing to repeat the same information in IM’s. At the end of the notecard I would include a line “last updated” with the date you last updated the card. This helps you keep track of the last time the information was updated. I would review this card every three or four months to determine if if it needs sprucing up. The second item is a poster It should look professional, but not be overwhelming. The idea of the poster is to use it as a display during your event. The poster should include your name (at the very least,) a a form of communication outside of Second Life (website, e-mail, etc). Posting it on Flickr or Koinup provides additional marketing value. Last, every DJ should have their own website. If your not planning on updating it often, I would recommend developing a static website that contains your information, list of recent events, pictures of event events, and a means of contact. That information can be embedded on your website if you use Google Calendar or Flickr. For those who are going to update often, I highly recommend using WordPress to manage your website. The benefit is you can also blog and generate a lot of attention through your postings. If your blog goes cold, it can have a negative impact. Once you have developed these essentials, additional items such as links to shoutcast streams, mp3 demo’s, twitter accounts can be integrated providing additional ways to sell and promote your services. Image Credit: “Paid to DJ” is licensed under a Creative Commons Attribution 3.0 United States License, for appropriate attribution visit Flickr Page. 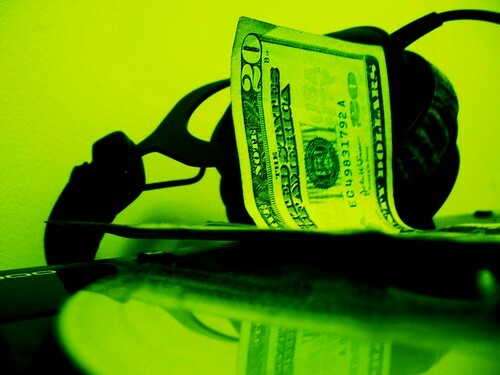 This entry was posted in DJ Tips and tagged DJ Services, How To, Second Life, Selling. Bookmark the permalink. Selling DJ services is quite a good idea. There are a lot of people who need DJ in their events or functions. As they can take help from essay writing services to write songs and much more things. Without DJ any function cannot be completed. Today, people and organizations from around the world utilize our administrations consistently to convey their media to assorted groups of onlookers and we proceed to develop and extend. Regardless of whether you are a DJ, Venue Owner, Musician, Comedy Act, Presenter, Trainer… we anticipate you turning into our next glad client! Our site is intended to enable you to discover the data you look for inside only a couple mouse clicks however in the event that you have additionally addresses get in touch with us or drop into our virtual workplaces in Second Life. A website? Actually, I have never think about it… Thank you for sharing! Thanks for sharing it. Keep up your writing with such informational content.